Why is innovation so hard? Every team who hasn’t, can’t, or won’t innovate has a story about why the overused “i” word continues to elude them. 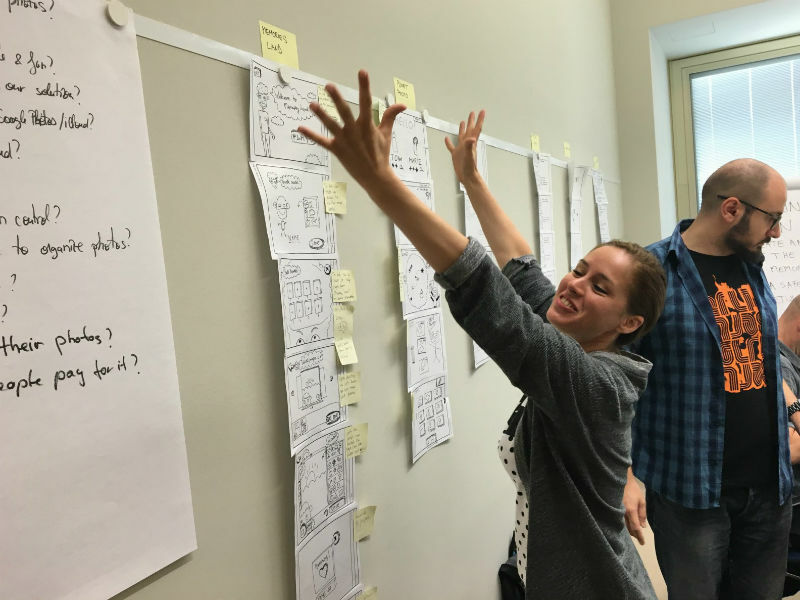 At New Haircut, we work with major companies to create innovative design, and the most common problem we see is that companies design stagnation into their organizational stories instead of innovation. For example, a major worldwide financial institution’s marketing director told me: Having 200 global stakeholders per project makes it nearly impossible to innovate. A CEO of a Fortune 100 AdTech company told me: We just can’t get focused… Our business stakeholders are constantly caught up in too many different things. A VP of a 55,000 person global organization told me: We tried everything. We acquired companies. We hired management consultants and watched them spend weeks generating user journeys we didn’t need. We spent a ton of money building an innovation lab in NYC that can’t seem to connect with our core culture. By focusing on the reasons innovation can’t succeed, companies set themselves up for failure and stagnation. It’s not only the Fortune 500s that stagnate. 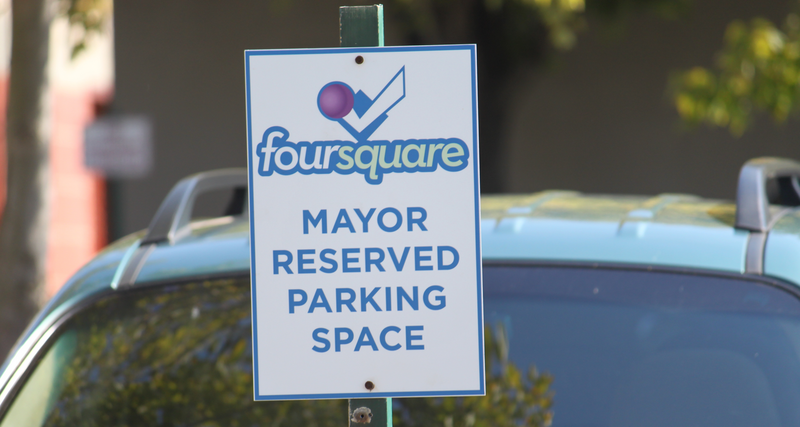 Remember Foursquare? Groupon? These companies launched their products and consumers went nuts. How many group deals did your crazy cousin send for saving 15% if you could round up 10 friends to join you at Six Flags? People couldn’t check in fast enough to become the mayor of their local Walgreens. That was all cool for a minute, but then what happened? A couple years went by and neither Foursquare or Groupon made the necessary leaps forward to stay relevant. Both companies built massive audiences, but their products didn’t evolve with those customers. Small updates like new badges will only take a company so far. Likewise, we’ve seen the same trend of “small releases at the cost of innovation” at companies big and small—and across all sectors. For instance, Apple may still be printing their own money, but die-hard brand loyalists from the era of former CEO Steve Jobs have been a waiting a long time for the next iPhone-caliber announcement. Meanwhile, competitors like Samsung continue to lure people away from iOS with new technology and different pricing models. In another example, Coach is a luxury retail brand that can’t seem to connect with younger women, no matter which top models they hire. While they continue to focus on opening more stores that offer the same expensive bags, brands like Sephora are pushing boundaries with concepts that roll out of their innovation lab. The Beauty Workshop Station from Sephora’s Innovation Lab. Why do some companies go cold? So that gets us to the real question — how is one company the darling of its customers one year and all but forgotten the next? Sometimes it’s because markets dry up. But most times it’s because the people making critical decisions inside a company stop trying and stop prioritizing innovation. Or, as Angela Lee Duckworth posits, they lose their grit. They want to sell more, grow faster, create new, and stay ahead. But they stopped doing the things they did to get on top. That’s typically when stories fly and fingers point. It’s also when people get fired. It’s when acquisitions of younger, hungrier competitors are approved. And it’s when expensive management consultants are hired. But for most companies, especially the larger ones, by that time the bleeding has already begun. Attempts to buy innovation through acquisitions will not help to cauterize the wound. Neither will appointing a Chief Innovation Officer who lacks any real authority or persuasion in the company. Bill Burnett of Stanford’s D School describes this downward spiral of innovation failure as death by a thousand cuts. Most importantly, he highlights that if you want to incite breakthroughs you need to cultivate a culture of leaders that not only welcome experimentation and failure, but are willing to share and learn from those failures repeatedly. So how can teams solve the innovation issue before it gets to the stagnation point? What we’ve learned is that real growth happens only when we’re willing to do things we’ve never done before. When we’re willing to lose control, look stupid, and fail miserably. When we become comfortable with being uncomfortable. In her books The Power of Vulnerability and Daring Greatly, Dr. Brené Brown shares stories about company leaders who want to innovate and create a culture that breeds creativity. She emphasizes the role of vulnerability and why the most innovative teams in the world display that trait in spades. When Ed Catmull started Pixar, he and his team—including Steve Jobs—had zero experience building, marketing, and selling their product. But they were willing to try and fail until they got it right. Not only did they eventually get it right, but generations of executives and entrepreneurs decades later are inspired by the story they tell in Creativity, Inc.
Too often, teams and executives are hesitant to be vulnerable, perhaps worried they might expose the things they’re not capable of. But look at Ed Catmull. Look at Steve Jobs. Look at Tim Ferris or any of the 200 people he interviewed in Tools of Titans. Vulnerability matters, and it’s at the heart of lasting innovation for companies. It’s also important to remember that there’s no magic bullet. There’s no company you can purchase or person you can hire that will transform your company into an innovative juggernaut overnight. It’s a process. It’s a formula you customize, experiment with, and learn from. And if it’s going to work for your organization, you’re going to need to inspire others to join you. If you want to help jolt your company out of hibernation, the people and teams around you will need to adopt habits of vulnerability, empathy, and curiosity. You want to move toward becoming a culture that invests in and rallies behind principles like design thinking? Then action is required. Planning, researching, and talking all matter—but if you suspect your team is focused more on why you can’t innovate than moving forward, then it’s time to get busy doing. This is generally a little easier if you’re already a company leader with the authority to effect change, but what if one of these applies to you? Your environment is completely toxic and a place where innovative ideas go to die. You’re pretty junior—a UX design intern or a junior account executive, for instance—without a shred of influence in your company’s planning, priorities, or resources. You know you’re a central, influential person in your company, but your initiatives to boost innovation get no backup from management—i.e. you’re influential but lacking true authority. Double dip. Next time your boss asks you to work on a project, deliver using the traditional methods your boss expects—but also spend nights and weekends experimenting with new tools and techniques. Whenever you uncover anything better and unexpected, present the results of both approaches to your boss. Once they’re dazzled, request permission to help others the methods you tested. Build a team. If the double dipping paid off, hopefully your boss now knows what you’re capable of. Your co-workers will also appreciate your help and won’t mind following your lead. Once they benefit from your experiments, they’ll be primed to be part of your innovation lab. Build a lab. You’re ready to officially recruit your team. They’ve seen the benefits of innovation and are inspired to see these changes permeate throughout the company. Like you, they’re willing to experiment, fail, report back, learn, and adapt. The lab can offer to take on experimental side projects with tremendous upside, but no real consequences if you have to go in a different direction. You can invite influencers into the lab to witness your successes—and watch those influencers promote your ideas across the organization. Innovation is less a destination than a mindset. The people on your team and in your organization need to learn to ask great questions . They need to be interested in the habits of your customers—only then can you identify new problems and offer new solutions. We have a lot to learn from the rare leaders who can inspire innovation in their organizations, and we all have the power to be that change for our own teams.